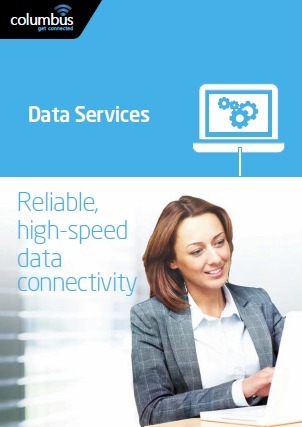 Our fastest and most reliable Internet services for business-critical operations. Speeds up to 1 Gbps both ways, uncontended, low latency and highly scalable. Then our Business Internet service is the right choice for you. Call us on 0333 240 7755 and speak to one of our Business Internet experts. As more services move to the Cloud, Columbus Business Internet services provide fast, flexible and reliable internet connectivity, critical to the success of today’s fast-moving organisations. Columbus provides high quality, flexible, Business Internet services designed to meet the bandwidth and usage needs of today’s and tomorrow’s businesses, ensuring that you are prepared for whatever maybe round the corner. Whether you are a UK SME, mid-size business or large organisation, we have a Business Internet solution to suit your needs precisely. Our most popular service is called Business Ethernet and this delivers Internet to the premises up to 1 Gbps in both directions using Fibre Ethernet, EFM or FTTC technologies. Columbus delivers an unparalleled service and user experience which is backed up by our comprehensive service level agreement and exceptional support, giving you peace of mind and allowing you to concentrate on what’s really important to your business. Is Business Internet right for my business? We install our Internet services using a range of connection options including 100 Mb or 1 Gb Fibre connections. You choose the committed bandwidth you need for your Internet connection and it’s easy to upgrade if you need additional bandwidth as you grow. Our Business Internet services suit organisations that require the most reliable connection which is available 24/7. Organisations where loss of internet would mean their business would grind to a halt would also benefit from our services as we can fully integrate back up services which provide enhanced service availability guarantees. The Columbus Converged Ethernet service is ideal for organisations that want to converge voice and data on a single connection. By consolidating voice and data you will benefit from significant cost savings while enjoying the ease of dealing with a single, reliable and fully accountable supplier. Converged Ethernet is also ideal for replacing legacy ISDN services as it allows customer to adopt either SIP Trunks or Hosted Business Phone Systems knowing that the call traffic is fully protected. Our Business Internet services are ideal for organisations where employees are split over multiple sites using central business-critical ERP or CRM systems, logistics or trading platforms. No. We’ve structured our pricing model so that we can deliver the service with no installation charge over a 36 or 60 month contract term removing any CAPEX barriers. Columbus EFM and FTTC Ethernet start at just £200.00 per month and our Fibre Ethernet services are available from £350.00 per month. From as little as 30 working days for EFM and FTTC Ethernet and up to 60 working days for our Fibre Ethernet service. Columbus Business Internet services are inherently secure because they operate as a point-to-point service over a dedicated and totally private network infrastructure. Columbus also provides additional security services such as firewalls to supplement your Business Internet service if they are required. Need advice on Business Internet services? Contact Columbus UK and get your business connected. Let's go!